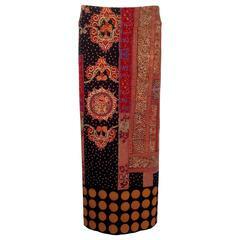 A vintage 1990s Yves Saint Laurent Rive Gauche Wrap over Skirt. 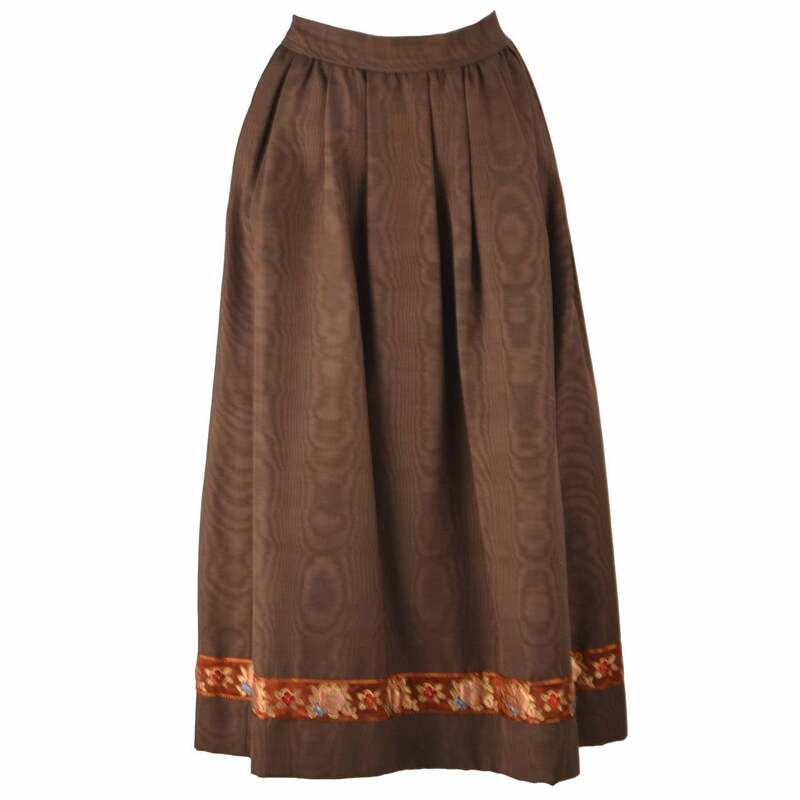 This gorgeous "dress it up dress it down" skirt is a great example of the beautiful ethnic-inspired "peasant" clothing Saint Laurent designed throughout his career. 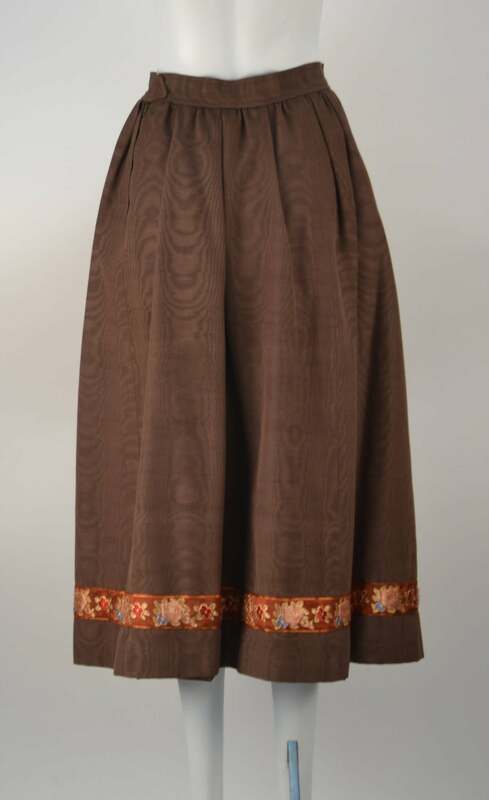 This brown moiré A-line skirt is gathered, over the knee with beautiful embroidering. 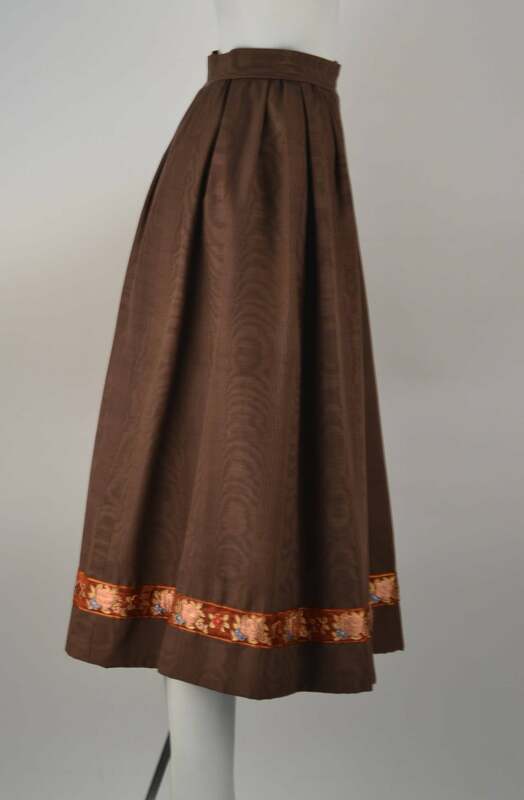 The designer pays homage to the cultures of the world and shows the softer side of us all, with his use of flowers. Back zip for a closure. 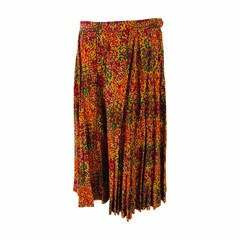 Modern Size 2 *All garments and accessories have been professionally cleaned and thoroughly checked before shipping. They are ready to enjoy upon arrival! 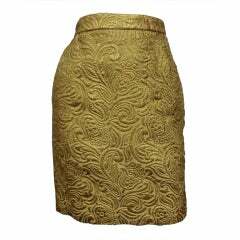 A fabulous gold metallic brocade Yves Saint Laurent mini skirt. Silk Lined. 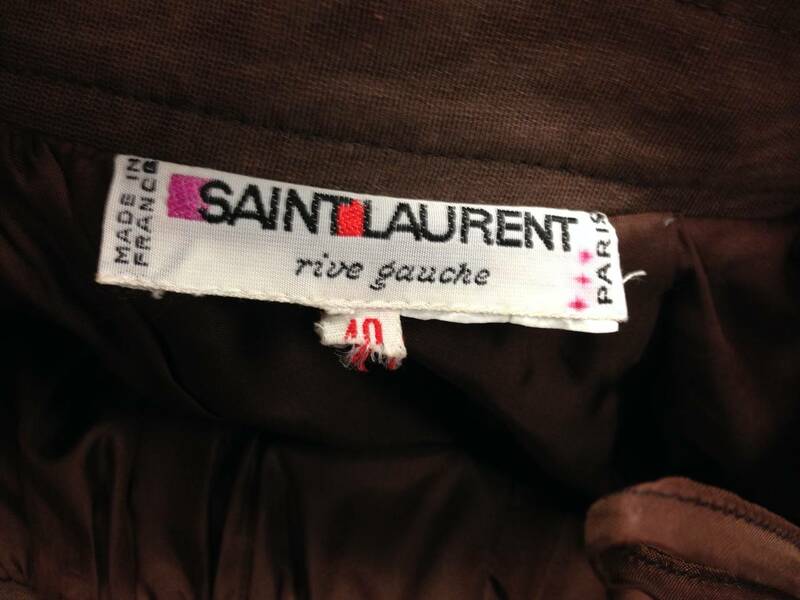 Size 42.